By rights, you shouldn’t be drinking this until next Tuesday, but we won’t be sticklers for detail. Altbier is the local brew in Düsseldorf , a copper-coloured, medium-bodied hoppy ale that is consumed in large quantities by all who head into one of the brewpubs in the Alststadt, or old town. Sticke Alt is a stronger version, invented by Uerige, one of the Düsseldorf brewpubs. It is produced only twice a year, and released on the third Tuesday in October and the third Tuesday in January. 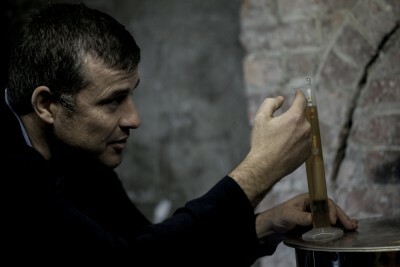 Based in Derry, Northbound was set up by David and Martina Rogers on their return from Australia, where David worked as a master brewer at Tooheys. I recommended their Kölsch (the traditional beer of Köln) last summer. I enjoyed the Sticke; rich, deeply malty and nutty with plenty of hops and a smooth finish. Perfect for keeping the cold of January at bay. 5.5% alcohol and €3.99 for a 500ml bottle.